Spain is large and there is much to be said for taking a holiday which includes visits to gardens, rather than attempting a full tour. Spain was inhabited by Celts before the Roman conquest. It then became part of the Empire and a country of many gardens. Arab invaders brought Islamic design ideas. In the twentieth century Barcelona became famed for modernista (Art Nouveau) and then for modern design. See list of gardens to visit in Spain. Andalucia has the best Islamic gardens in Europe - which also happen to be the best medieval castle gardens in all Europe. 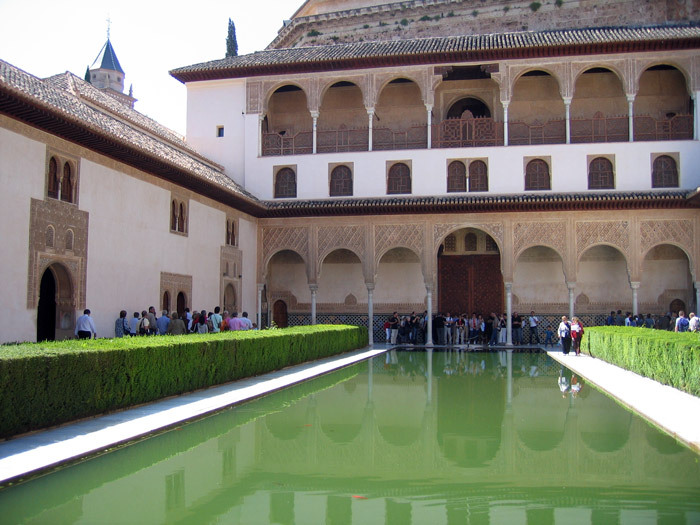 The tour includes the Alhambra and the Generalife in Granada, the Great Mosque in Cordoba, Jardines de las Reales Alcazares, Parque de Maria Luisa, the Plaza de España in Seville and, in Ronda, the Alameda del Tajo gardens set on the edge of a spectacular gorge. Mallorca is the largest of the Balearic Islands with dramatic cliffs and sandy beaches and a rich and varied terrain, from jagged mountain peaks to patchwork fields and drystone walls. Some exceptionally beautiful ex-patriate gardens are included in this 6-day tour alongside those of Moorish influence. Two wonderful hotels selected: Belmond La Residencia, sheltered by green mountains on Mallorca’s peaceful north-west coast, set in lush gardens among olive and citrus groves on the edge of the artists’ village of Deià; Hotel Son Julia, a restored mansion with historic Arabic gardens in the countryside south of Palma. Many tour companies take visitors to Spain but the country has a very large tourist industry and is comparatively easy for the independent traveller: there are many hotels, the trains and buses work well. English is widely spoken in the holiday areas but not elsewhere. Garden holidays and tourism are most comfortable in spring and autumn.